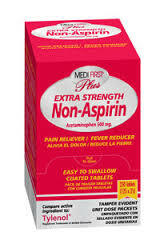 Choose from Pain Zappers, Ibuprofen, Antacid, Cold Relief, Extra Strength Non Aspirin and many, many more pain relief tablets. These pain relief tablets are packaged in single dose, tamper evident packaging. These pain relief tablets including Pain Zappers feature non-drowzy formulations and microfilm coating for easy swallowing. Formulas are salt free and lactose free for patient safety. Add these to your first aid kit contents and always be prepared for a first aid emergency. Select from pain medications including: Ibuprofen, Non-Aspirin and Aspirin Formulas, Pain Zappers as well as Antacids, Cough Suppressants and Decongestants. Pain Relief Tablets are available in individual packets and in different quantity boxes for your company to have on hand for employees to have when they are not feeling well and allow for better productivity in a work day. Pain relievers are a vital component of any workplace, home or travel first aid kit. Let us be your online source for first aid supplies and Textilease Medique and pain relief tablets.